This is a favorite place to spend the night in Joshua Tree National Park. 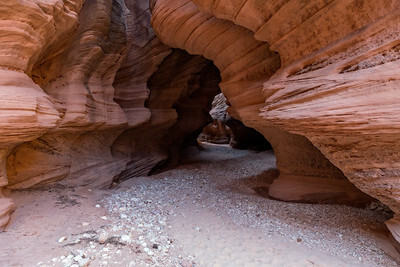 Undulating rock formations as we follow the dark passageways through Buckskin Gulch. 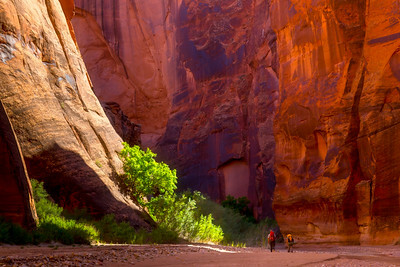 The light dims as we walk this section of Buckskin Gulch. The rythm of the weathered rock leads us on. 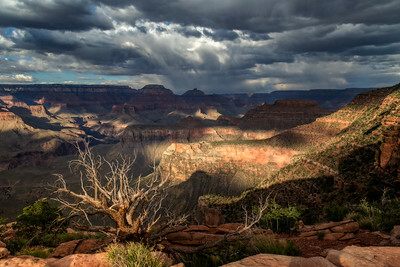 A few years ago we hiked down the South Kaibab Trail to Cedar Ridge in the Grand Canyon just before sunset with a sky of blue and scattered storms. 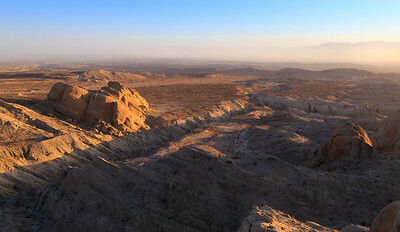 I took this a few years ago in Anza Borrego Desert State Park. I love to camp and scramble on the rocks in this area. My tent is hidden beside the rock outcrop on the edge of the gully. I was looking to take shots of the Milky Way but it was overhead and the moon was rising over my tent. Go with the flow! This was an unexpected shot. I forgot to turn my headlamp off so this gave a bit of extra light in the foreground. It was a pleasantly warm night to be roaming around under the midnight sun in Joshua Tree National Park. 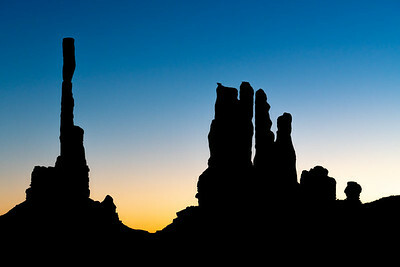 I went on an early morning photo tour in Monument Valley. I love the simple colors and the silhouette in this photo as the sun is about to rise. 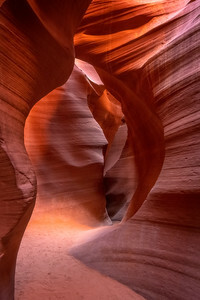 Lower Antelope Canyon is an amazing place to photograph. I was part of a small group tour, just myself and a friend. The canyon is short, but every turn shows amazing curves and light. For the occassion, I grabbed a fresh camera battery from my car. When I entered the canyon and tried taking my first pictures, the camera shut down before it could snap the shot. I managed a only few successful shots during the tour. This is one of them.